A year ago, sitting in my beautiful apartment in Prague, I faced the news that my landlord has found a longterm renter for the beautiful 92m2 flat (click here to watch the video tour) that I was currently living in, and since I wasn't willing to commit to another full year of renting it, he wanted me to move into a 32m2 flat next-door (click here to watch the video tour) . It seemed like a great idea, not only because the rent would be cheaper, or that it would have a balcony with a view of Prague castle as I had wanted from the very moment I moved to Prague, but also because I knew that living in the giant space I had was not good for my productivity or happiness. In just one year of living in the large flat, I had accumulated so much that I was really rather ashamed. So much time and money spent on items which had little use, were bad quality, and were purchased on a whim, or because my survival instinct had reacted quickly to simple marketing tactics. Keeping everything in order and the 2 washrooms and giant kitchen clean, took hours out of my life every week — hours which could be spent learning, connecting with the ones I care about, exercising, travelling, or relaxing. As I began to prepare for the move, I managed to make a pile about 1 m² of all the things I was willing to get rid of. A week later, I went through my things again and made another 1 m² of clothes and items that I really did not need or want in my life anymore. I nearly religiously avoid wasting and throwing things out, so I did my best to give these items new homes by trying to sell them in Facebook groups. Unfortunately, I didn't have my success in selling the items there. So, I made this website to list all my items for sale to stand out amongst all the other postings, and this got me a few more sales, but I still had a bulk left and wasn't sure how I would be able to fit into the maximum 2 luggages allowed by the airlines when it would come time for me to leave Prague for good. The week when I moved, I stumbled upon something that completely changed my outlook: Minimalism. This is the concept that you simplify all your belongings so that they can all serve multiple purposes, therefore allowing you to declutter your mind. Often minimalists stick to a few colours for their decor and clothing. This all is with the understanding that the fewer objects you have, the fewer decisions you need to make regarding them throughout your day, and the less time you spend thinking about them or tidying them. I immediately jumped to my wardrobe to start going through it. Reviewing each item and taking out every item I didn't feel I needed, I got my whole wardrobe down to a simple 3 colours (black, white, and blue), and eliminated about 50% off it. This was surprisingly easy, as I was no longer focused on if I might want to wear something in the future, but rather, whether or not this extra item fit my new clutter free life. It felt amazing looking at my new closet which could quite effortlessly fit into 2 luggages and a carry-on, but I still felt like more could be done. Of course, YouTube had the answer to further simplifying my closet and my life. Just days later, I stumbled upon Marie Kondo, the creator of the KonMari method. Marie takes Minimalism to a beautiful “next level”, by recognizing that emotional intelligence is by far the best for deciding whether an object, an activity, or a person is worth our time and effort. In the KonMari method, you take everything off your shelves and hangers, and in a particular order of category, you go through each item individually to decide its’ fate. Picking up each item with both hands, you quickly feel whether “it sparks joy” or not. 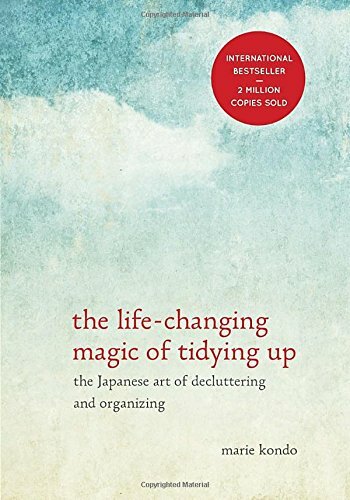 There are other components such as a particular way to fold and store clothes that also make Marie’s method intriguing, but what attracted me to this method the most was that it really becomes this easy to declutter your life. As someone who naturally has found it hard to make fast decisions, I really appreciate this decision making tactic because it also practices the gut. Being plugged in 24/7 to laptops, iPhones, and gadgets, and the noise of a concrete city, it can be hard to detach and listen to our gut in business and in life, and I see this as a great way to create less of that noise at home, so that it can be easier to listen to that gut. So, I followed Marie Kondo's instructions and started by taking everything out of my closet, and laying it out in separate piles of categories: pants, tops, sweaters, shorts, skirts, etc. Quickly I was able to see which category of item I had too many for my needs - I haven't worn a head band in years, so why do I have 7 of them? They must go! 2. Do I feel good, comfortable, and attractive when I wear it? 3. Can I put it in at least 4 outfits? 4. 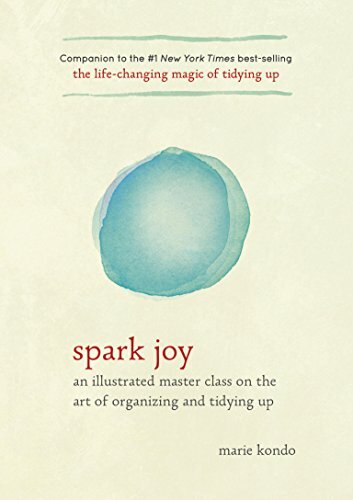 Does it make me feel happy (or according to KonMari, "does it spark joy?")? After going through everything once, and putting all the item that didn't have 4 "Yes"'s into either the Sell, Giveaway or Throw-out piles, I went through everything one more time to pick out any items that my emotions and sentimental value may have been clouding my judgement on. After having gone through everything twice, I was shocked at how few items remained. I could easily fit everything into 1 suitcase, and looking at it all I felt so happy and light. Every single item was one that I felt great and happy wearing. There were no longer items that reminded me of when I was overweight, or items that reminded me that I still hadn't shed enough weight to fit into them. There were no more items collecting dust waiting for a style to come back into fashion. Feel lighter and simplify your life by going through your wardrobe, culling it and removing items that no longer serve a purpose in your life. Doing this will make room for more of the things you want in your life, and I guarantee you will feel lighter and happier for doing it. Is The New iPhone X Worth $2K?